Mali Mish – House-less but not home-less. Last night was our first night in the Airstream as our full time home. Because of some problems with our buyer’s lender, they had to extend their escrow closing day. You’d think we are glad to have a few extra days to move out, but the changes in plans are actually a bit aggravating. We have had our plans in place and this was not going to change them. It’s reflected on the website. One of the main issues with the buyer’s lender is that they are requiring them to fumigated for termites. This should be done by a professional pest control service, like Pest control company in Richmond Hill. The buyer had agreed to skip the termite work during our original sales negotiation so we did not expect to have to tent our house while we are still in it. But since their lender is refusing to fund their loan without termite clearance, the buyer now has to pay for the work to be done before fully taking possession. I guess they are taking a leap of faith that everything will work out in the end so we will plunge in with them. Even though now we have the option to stay in the house until June 18th, we didn’t want our things fumigated with termite poison. We did the research on the poison, the protocols and along with learning the answer to the question on everyone’s mind, do centipedes bite, they do. We also learned that the whole process is safe and easy to manage. We actually did not have to make too many logistical changes to our plans to accommodate theirs so we kept our moving schedule and started to empty our possessions into a giant u-haul truck. It is pretty amazing how much stuff we managed to cram into a 950 sq. ft. home over the last 8 years. The truck is designed to move a 4-bedroom house. We filled her up to the brim. Ever since we accepted the offer to sell our home, we have felt a bit wistful about the decision. After all, all three of our children were born here. We bought our first T@B trailer and then of course the Mali Mish while living here. It was here when our beloved dog Rudy passed away and it became a big motivating factor for us to live the life we do today. As tough as it was, ultimately we knew it was the right thing to do. It is funny how as the house became more and more empty, that realization became clearer and clearer. We took everything we needed for the road and packed them into the Airstream. Everything that we wanted to have after we came home went into the truck and everything else went either into a donation pile, garage-sale pile or trash pile. By the end of the packing process, that wistful feeling had more or less gone away. What’s left was a feeling of exhilaration that a life-changing adventure was ahead of us. The Mali Mish now feels more like home and the house has become just a place that we once occupied. We will always remember that some of the happiest, as well as the saddest, moments in our lives happened while we lived in this house. As I laid in bed last night staring at the aluminum ceiling while everyone else was fast asleep, I finally understood the meaning of that old cliché, ‘Home is where the heart is’. Full timing in our home town. 7 Responses to House-less but not home-less. Does Ava start Kinder in the fall??? Safe travels, we sure love to read about your travels!!! Yes she does! In fact, she just met her new teacher this past Thursday and she is very excited about it. There are a few design on the drawing board for the bunk beds and after spending last night with all of us in the Airstream, we need to get it done sooner than later! When I see a house these days. and see how it is just sitting there, going nowhere…it was mostly meant to house and raise a family and thats about it. Now go have fun and be careful. 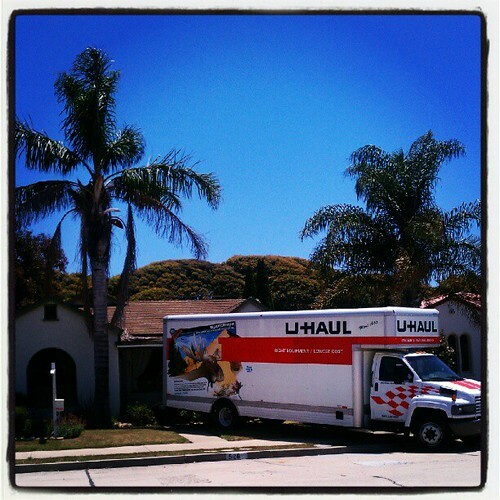 Hey Dan, enjoyed reading your blog the past couple of days…..reminds me of the emotions we went through as we moved out. Not everyone can handle this lifestyle, but the rewards are more than worth the changes. Will enjoy reading about your adventures as you figure out how make MaliMish work for 5 people now.